Will Baggins and Evader Ever Find Their Forever Home? Are black cats really bad luck? Are black dogs scarier than other dogs? When Baggins, a champion Greyhound racer, sustains an injury to his leg, he is callously dumped by his owner in a wooded area. There, Baggins meets a black cat named Evader, and the two become fast friends. When the duo end up at a shelter, the shelter's manager takes a special interest in them. Will anyone look past their black fur and give them a forever home? 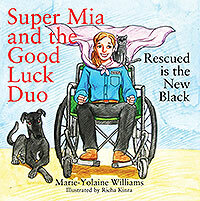 Marie-Yolaine Williams is an attorney who loves kids and dogs. She has one child, a boy named Langston, and two senior dogs, Fenster and Keaton, both of whom were adopted from shelters. 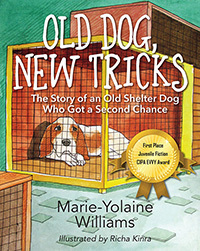 She wrote The Shelter Dog Series in hopes that it will encourage people to adopt dogs from shelters and consider dogs that tend to be overlooked by adopters. She lives in Atlanta with her family.